ASTM A53 GR.B 6D Bend Manufacturer in China – Duwa Piping Produces ASTM A53 GR.B 6D Bend, ANSI B16.49, 20IN, R=6D, 30 Degree, Wall Thickness SCH 60, BW Ends. If a pipe bend with tangent length, it means this bend has the straight pipe length in the ends. 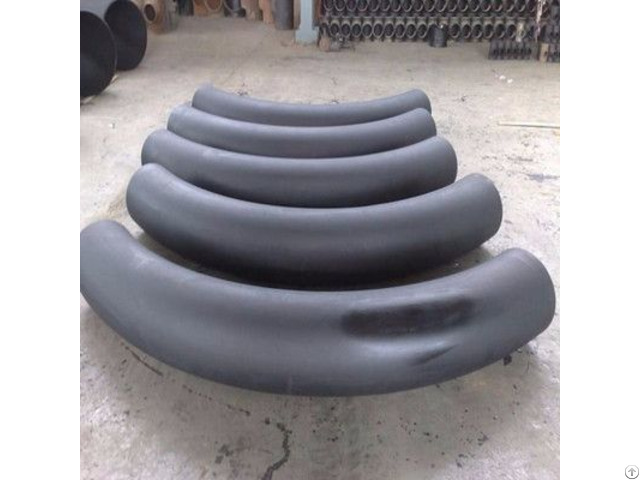 Commonly a hot induction pipe bend should have some straight length in the ends, the length of this tangent can be customized as per the piping system design. This tangent length will make it easier to weld with pipes.